Our lodge is centrally located the Ruby valley allowing you to enjoy some of the best trout fly fishing in North America. From the lodge we offer Beaverhead, Big Hole, Jefferson, Madison, and Ruby rivers; and, we have plenty of access to private water on surrounding ranches and farms. 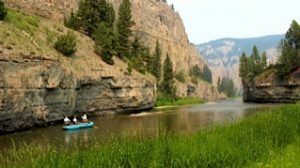 We also float the Missouri, Blackfoot, Upper Clark Fork and offer 5-day/4-night trips down 59 river miles of the coveted Smith River. Call Mike today at 406-459-2030 and he can talk you through our options for your Montana angling adventure.